Posted January 30, 2019, in Events, News. 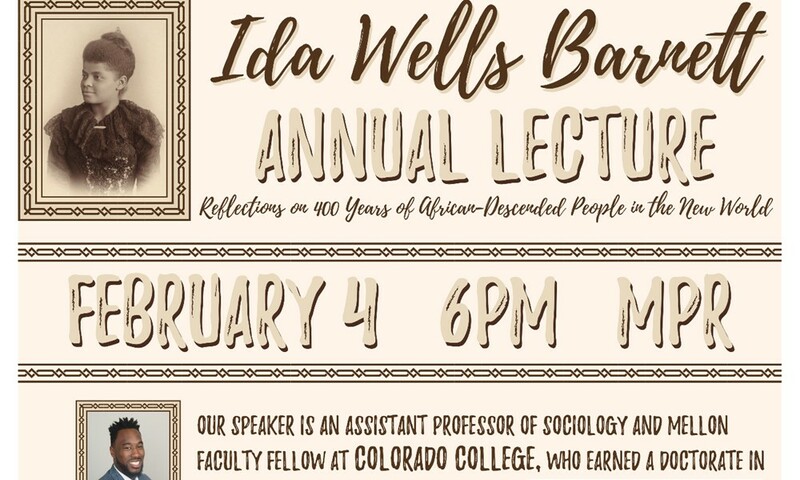 Join us on Monday, February 4 for the Ida Wells-Barnett Annual Lecture. Rutgers Alumnus, Prentiss A. Dantzler, PhD, is this year’s Ida B. Wells-Barnett speaker. Prentiss is an assistant professor of sociology and Mellon Faculty Fellow at Colorado College, and earned a doctorate in public affairs from Rutgers–Camden. This event is hosted by Africana Studies, the Office of Student Involvement, and the Office of Diversity and Inclusion. Page last updated by CURE at 11:47 am January 30, 2019 . This page was printed from http://cure.camden.rutgers.edu/2019/01/30/ida-wells-barnett-annual-lecture-reflections-on-400-years-of-african-descended-people-in-the-new-world/ at 8:32 AM Saturday, April 20, 2019.